family matters to take care of. Thanks so much!!! These are 4 way speakers. Each speaker has seperate controls for high and mid range adjustments, (on back) as well as a 12 inch sub, a 5 inch mid, a 3 inch tweeter and a 3.5 inch horn tweeter. These speakers sound excellent and produce a full sound from the base notes to the high notes.The wattage rating is specified at 65 Watts, but with today's standards, 150W+ is no problem for these. Overall these speakers are in great shape. There are minor scratches on the top of the speaker cases. see pictures. Height 25" width 15" depth 12.5" The boxes are made of 1" thick Walnut. They are a piece of furniture to be proud of! Both in good shape, but do have a couple superficial scratches. These pictures are borrowed from another speaker set. These are not the exact units. The pictures represent exactly what they look like. These are 4-way speakers with 6 drivers- one 12" woofer, 2 mids, 2 tweeters and a horn tweeter. The woofers and mids have cloth surrounds and never need replacing. 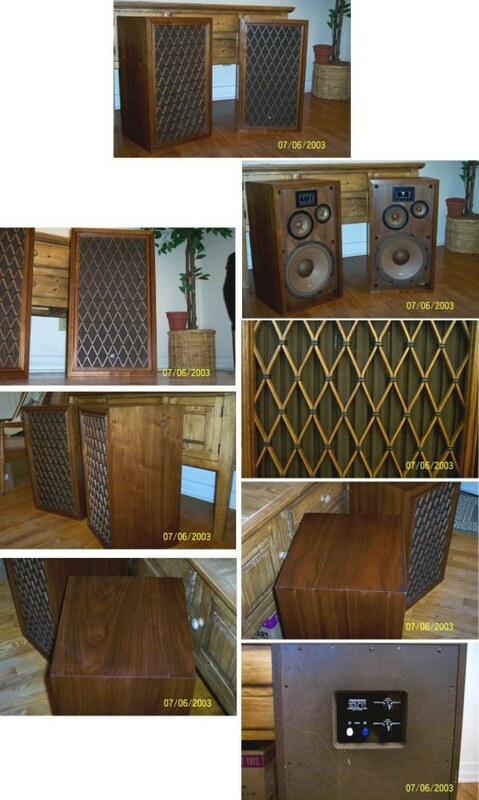 These were high-end in the Pioneer speaker line and still sound great today. You will likely never these again. The boxes are made of 1" thick Walnut veneer. They are a piece of furniture to be proud of! INPUT 80 WATTS, with to days rating system 150+ Watts would be no problem Peak Impedence 8 OHMS. Height 30" -width 15" depth 12.5"